Can the Hospital Refuse to File My Bill with the Health Insurance Company After a South Carolina Car Accident? In South Carolina, we have an epidemic of hospitals and doctors refusing to file an injured person’s medical bills with the health insurance company after a car accident. Why do I call it an epidemic? In part, because it is widespread; in part, because it is keeping people sick. The hospital and health insurance company—for example, Palmetto Baptist and BlueCross BlueShield (BCBS)—enter a contract. The contract states that people insured by BCBS can treat at Palmetto Baptist for a lower rate than uninsured people. Palmetto Baptist must then agree to the health insurance company’s terms, or risk not being able to treat anyone insured by BCBS. If you are insured by BCBS, you are a beneficiary of this contract. You may seek treatment from Palmetto Baptist, which in term will submit your bill to the health insurance company. You, a family member, or your boss is paying BCBS for this benefit. 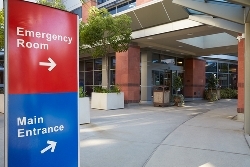 Therefore, if you are injured in a South Carolina car accident and taken to Palmetto Baptist (or any hospital, for that matter), the hospital must file your bill with the health insurance company, which in turn must pay for all procedures covered by your plan. At the end of your case, you may have to pay back BCBS a portion of what they paid the hospital, but the amount you have to repay will be much less than uncovered medical bills from the hospital. So why would the hospital mislead you into believing that because you were in a car accident, they cannot file with your health insurance company? It’s simple. They want you to pay them back 100% of their fee rather than accept the reduced rate that BCBS has negotiated on your behalf. Thus, they are trying to rob you not only of the compensation you receive for your injuries, but also the benefit of the health insurance coverage that you have been paying for. Many doctors’ offices in your health insurance company’s network will try to play this same game. If you have any form of health coverage, yet you’re being told that either you cannot be treated or your medical bills cannot be filed because you were in a car accident, please call me. The rest of my family is in the medical field and is equally disturbed and disappointed in the fraud that is being perpetrated upon injured South Carolinians. As a Columbia, South Carolina auto accident lawyer, I will represent your interests, not only when it comes to the at-fault driver’s insurance company, but also any medical provider that is trying to get over on you. If you have questions or need help, request free copies of my books, then pick up the phone and call me today at 803-790-2800 to schedule your free consultation.